Does having a baby change your car insurance rates? Let's examine auto insurance with a new baby. Becoming a parent does notdirectlyaffect your car insurance premium. But if you’re a new parent who is married and owns a home, you might enjoy some small savings on your auto insurance policy. Let’s explore some ways to save on car insurance and the cheapest insurers for new parents. Which car insurance company is the cheapest for new parents? Car insurance companies use historical data to predict a driver's likelihood of filing a claim or being involved in a collision. There is no correlation between parental status and frequency of insurance claims, meaning insurance companies don't use parenthood as a pricing consideration. In order to find the cheapest car insurance company, you should shop around. The most affordable car insurance provider for a pair of married 30-year-olds is GEICO, offering an average rate of $651 for a six-month policy (methodology). The drivers used to generate this sample rate are married homeowners with good credit and no recent accidents on their records. In order to find the most accurate rate for you, enter your ZIP code below to get started. How much do family-friendly minivans and SUVs cost to insure? As a new parent, you might be looking to trade your current sedan or coupe for something a little more family-friendly. SUVs and minivans are great for strollers, car seats, and the gear you'll haul around as a parent. See below average MSRPs and insurance rates for popular family-friendly vehicles. The average cost of insurance for the Chevy Traverse is $678 for a six-month policy. The SUV's MSRP ranges from$29,930 for the L trim to $35,400 for the 1LT trim. The cheapest insurance provider is Texas Farm Bureau at $359. A fairly popular vehicle, the 2019 Honda Odyssey costs between $30,190 and $37,710 to buy. State Farm offers the most affordable insurance for the Odyssey — $231 for a six-month policy. With State Farm, insuring this minivan could set you back just $39 per month. The Sedona boasts fairly affordable insurance and ownership costs. With an MSRP of $27,200 to $33,330, the Sedona is cheaper than the Chevy Traverse and Honda Odyssey. As you’d imagine, it’s also affordable to insure, on average. For a six-month policy, Progressive offers the cheapest rate ($178). 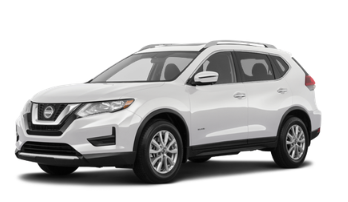 The Nissan Rogue is affordable up front, but relatively expensive to insure. While list prices for the 2019 vehicle range from $24,920 to $26,340, it carries an average six-month premium of $463 — $140 more expensive than the Sedona. If you’re interested in buying a Sedona, consider Plymouth Rock on the east coast or GEICO anywhere else in America. Although the Toyota Sienna is rated highly in terms of customer satisfaction and safety by Kelley Blue Book, those perks come at a price. The Sienna’s 2019 MSRP ranges from $31,315 to $37,465. From an insurance perspective, the Sienna costs an average of $510 per six-month policy period. As a new parent, your budget — and your patience — might be stretched thin. The last thing you want to do is spent time and energy searching for cheap car insurance. So we’ve done some of that work for you. Below are some discounts worth considering. The best way to make sure you’re getting the best rate is to compare rates from multiple companies. Avoid the time-consuming process of comparing rates from multiple sources by using our comparison tool — just enter your ZIP code below to get started. Compare rates from popular insurance companies! Every time you file a claim, you can expect your rate to include a surcharge for at least three years. After an at-fault collision claim, most car insurance companies will raise rates dramatically. On average in 2018, car insurance companies raised rates by $303 every six months. Considering the duration of this surcharge, the $303 penalty could amount to more than $2,100 in fees. Get an independent repair price estimate. Use The Zebra's State of Insurance analysis to see how much an at-fault accident would raise rates in your state. Again, consider this surcharge over three years. Compare the three-year surcharge value — plus your deductible — to the out-of-pocket expenses from step one. If it is cheaper to pay out-of-pocket, choose that option. Vehicles depreciate rapidly. 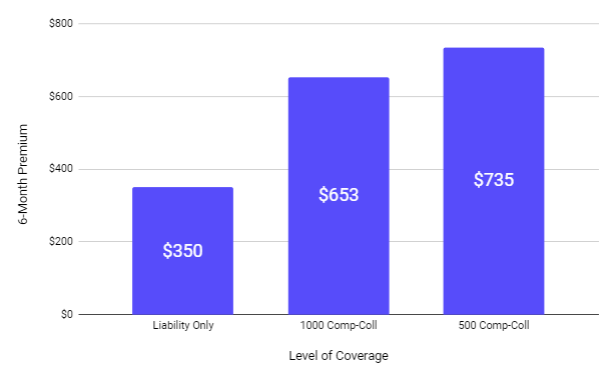 If you still own a vehicle older than 10 years or is worth less than $4,000, make sure you’re not covering the vehicle with collision and comprehensive coverages. These insurance options are designed to protect your vehicle, but if their costs outweigh the value of your car, you could end up paying for coverage you don't need. Determine the value of your vehicle by using Kelley Blue Book or NADA online. If your vehicle is valued above $4,000, maintain physical protection coverages. You can lower your premium by raising your deductible. Because your deductible and premium are inversely related, you can raise one by lowering the other. If you own a home or rent an apartment, you probably have a renters or homeowners insurance policy. If that's the case, cover your belongings and property with the same insurance provider to earn a multi-policy discount! 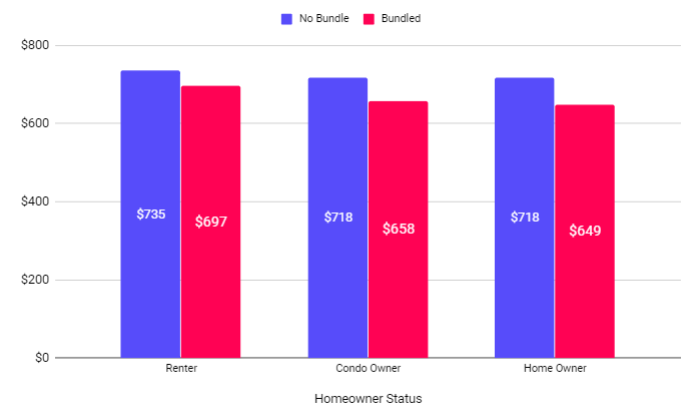 On average, bundling policies can save you 8%. Usage-based insurance uses in-car technology to monitor your driving habits and price premiums accordingly. This allows you to earn a discount by exhibiting safe defensive driving habits. Below are common savings from popular providers' telematics programs. If you're looking for more information related to telematics, see here. The easiest way to save on car insurance is to shop around. Enter your ZIP code below to see how much you could be saving as a new parent. Find a policy that fits you today! Minivans vs. SUVs: which are cheaper to insure?